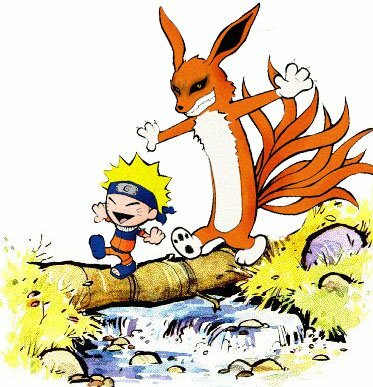 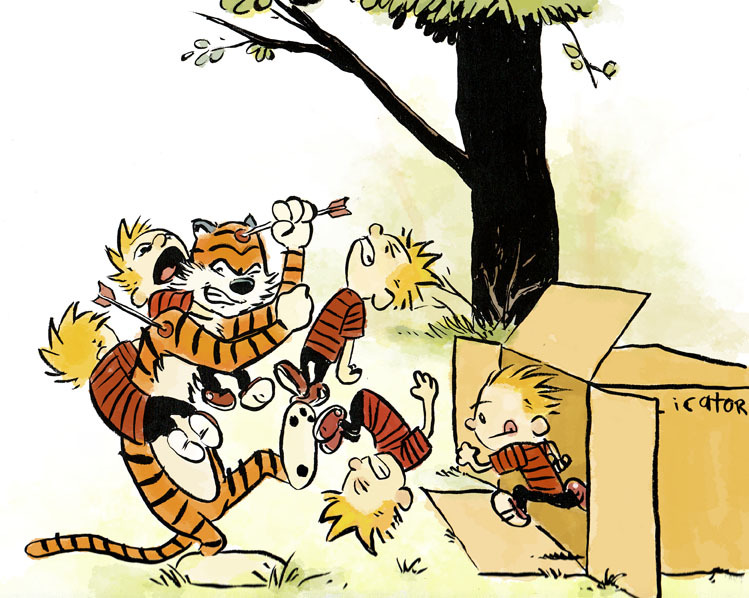 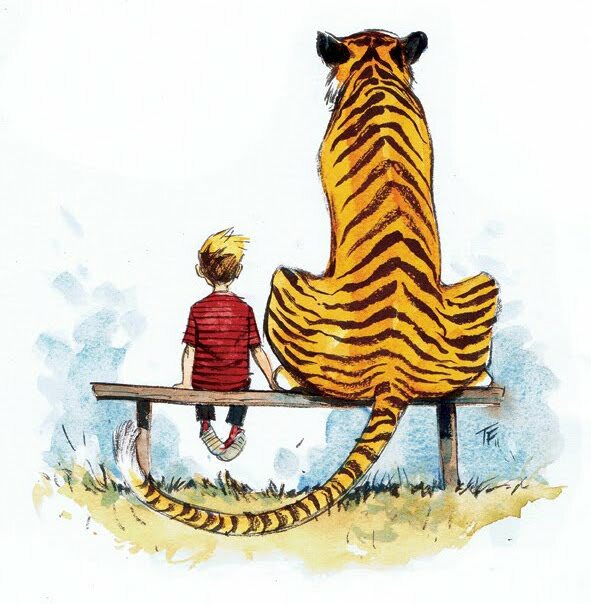 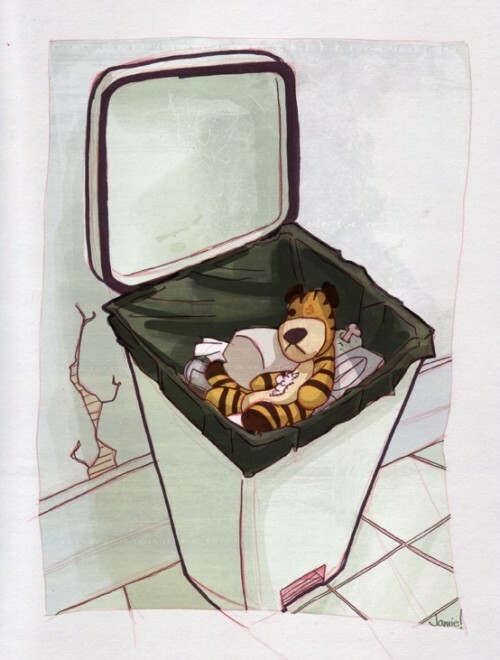 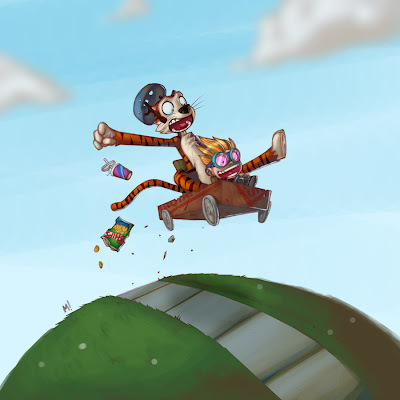 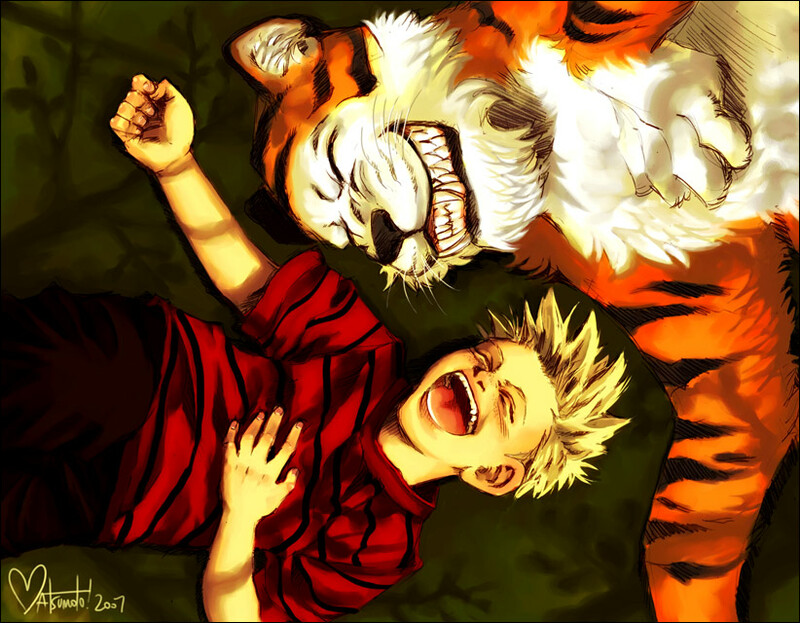 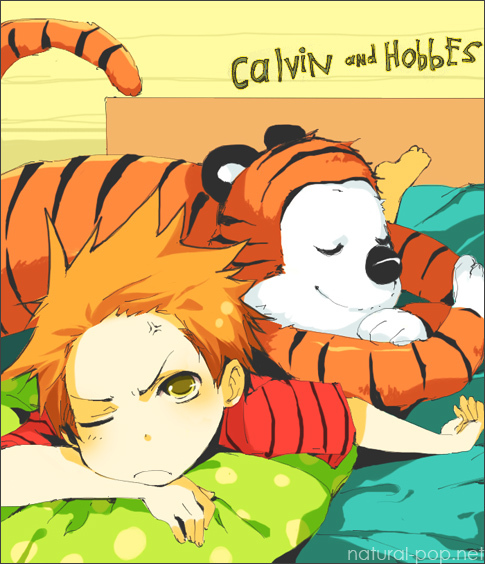 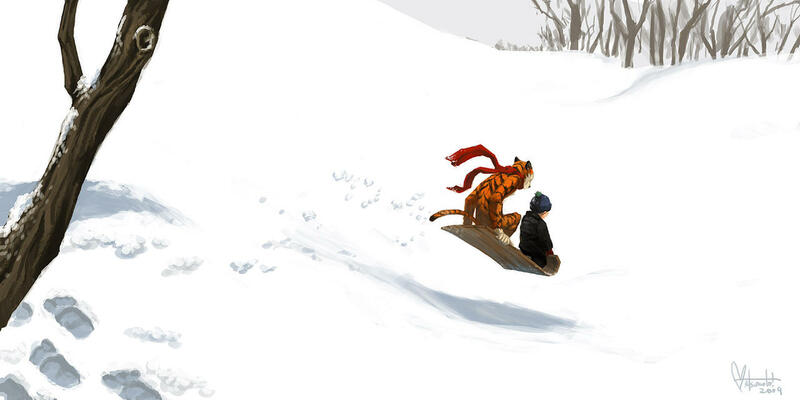 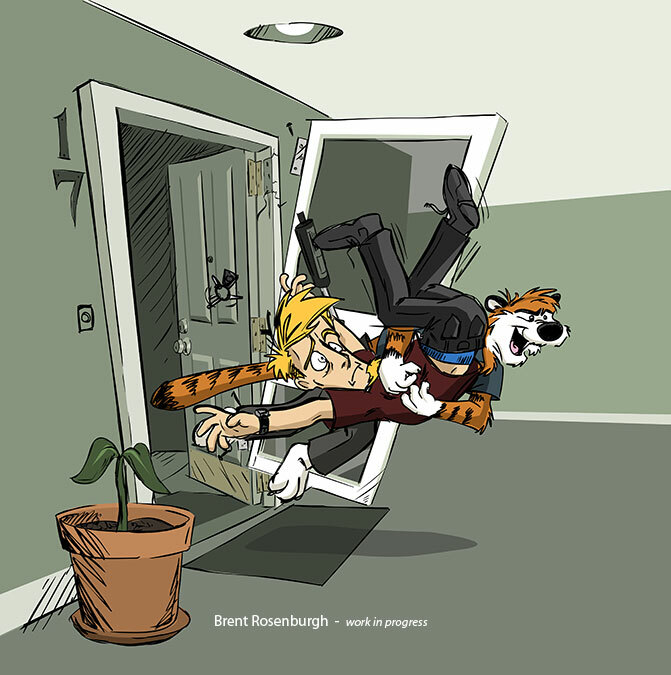 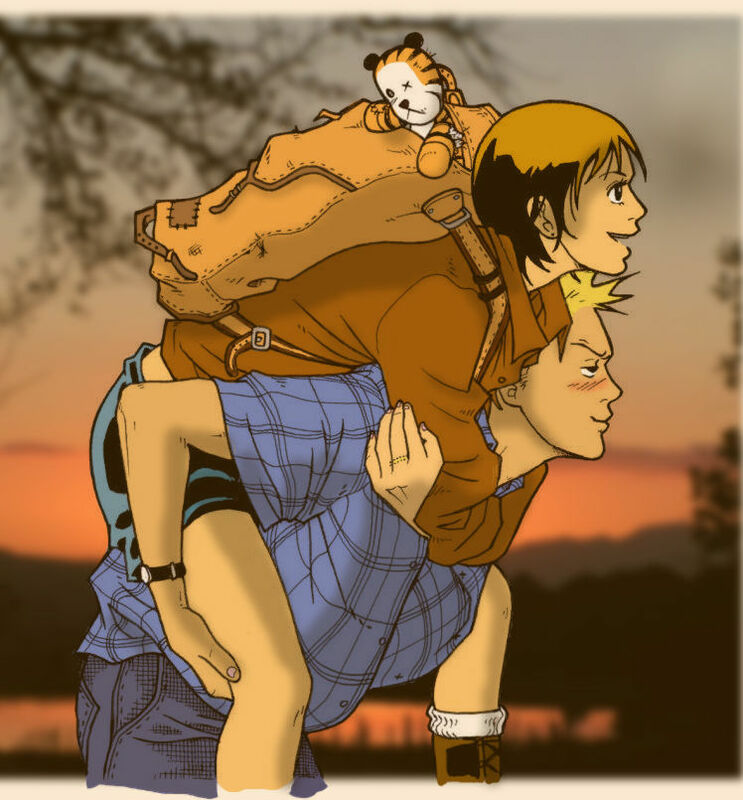 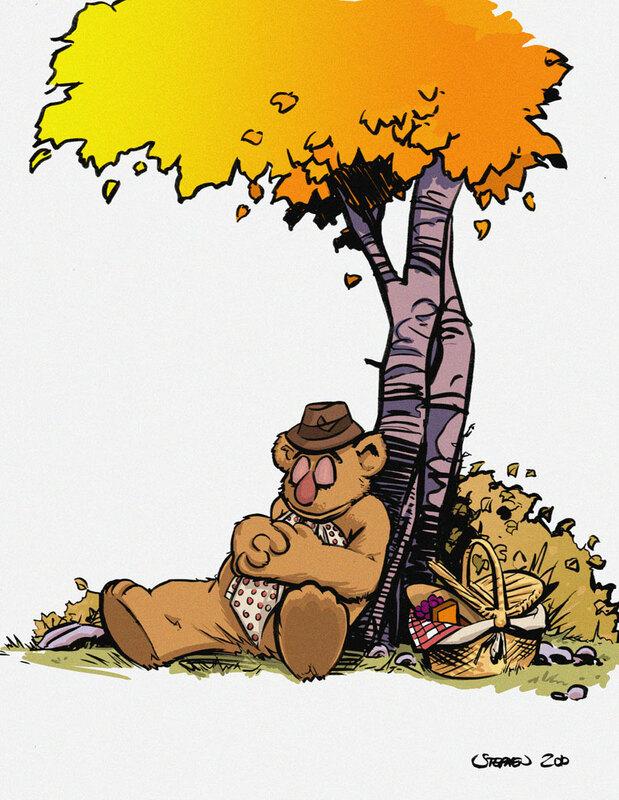 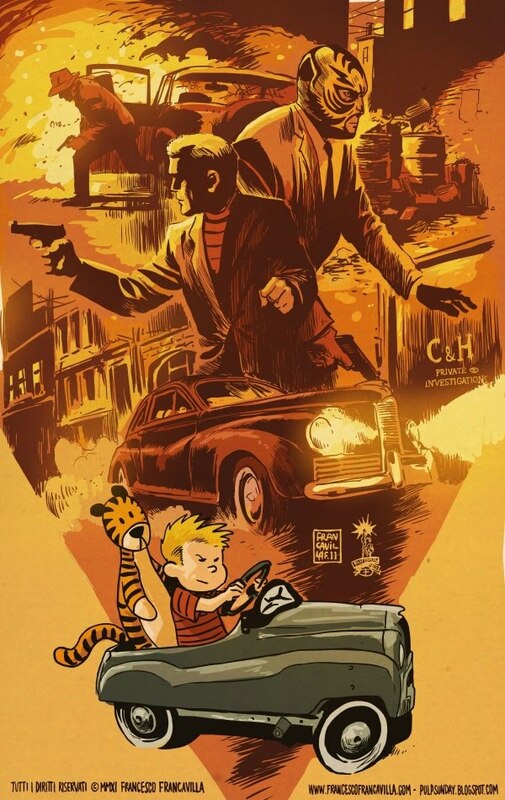 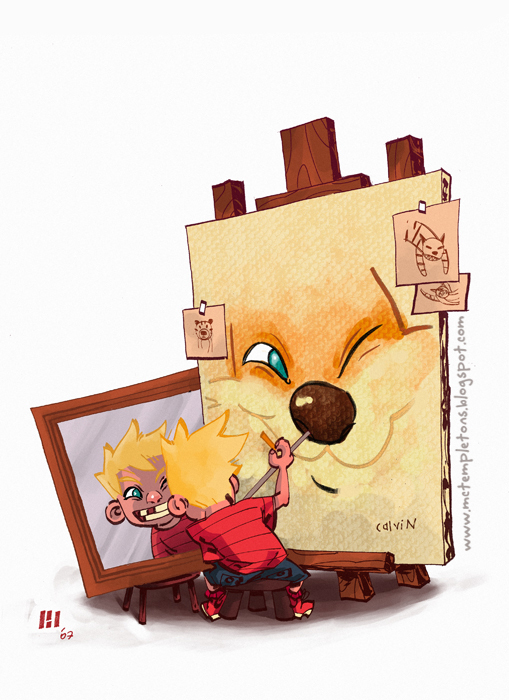 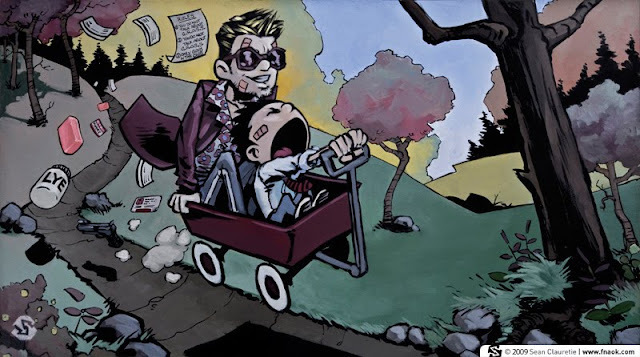 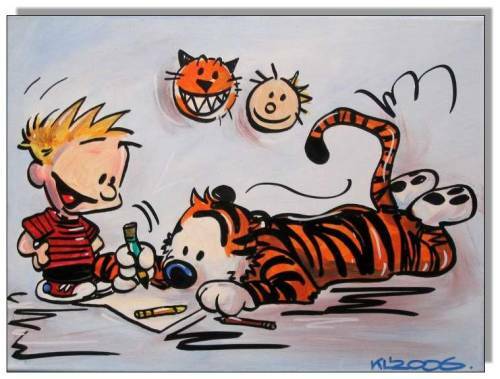 Check out more Calvin & Hobbes themed fan art under our Calvin and Hobbes tag! 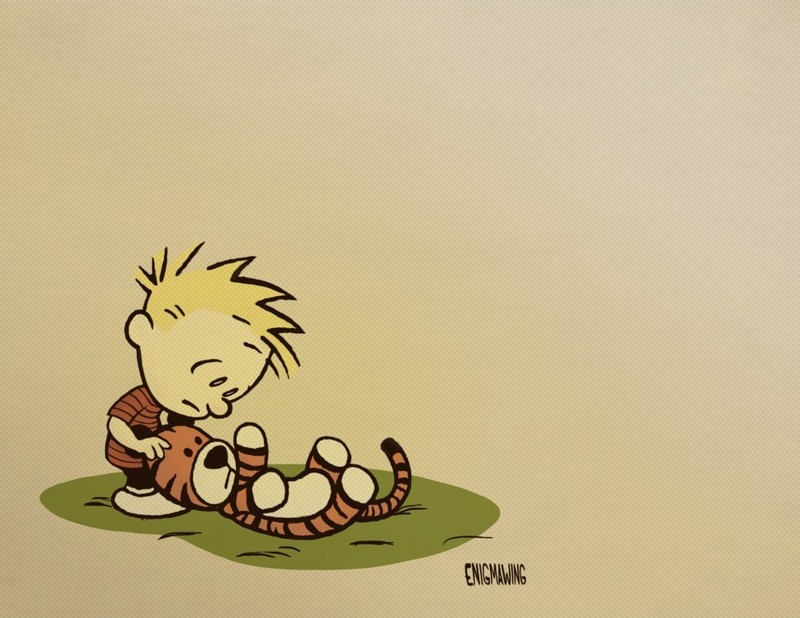 Few historians know of the heartwarming friendship between French Reformation theologian John Calvin and English political philosopher Thomas Hobbes, the latter of whom may or may not have been real, considering he was not even born yet. 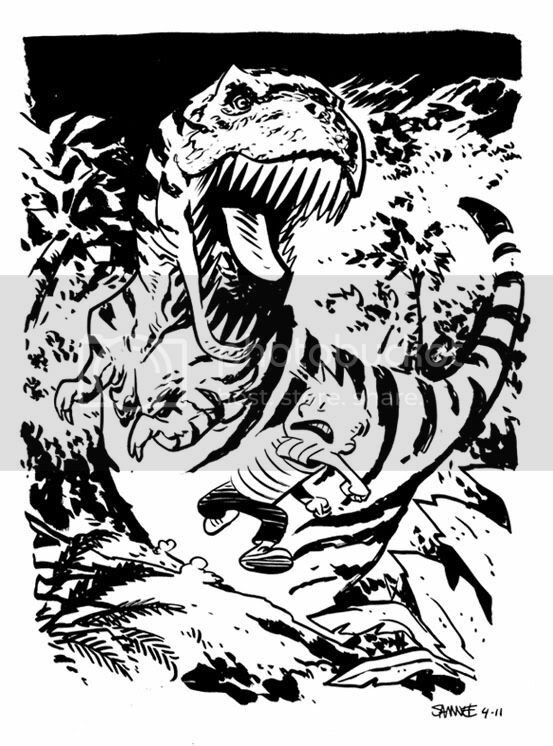 Finally I put to "paper" an idea I've had in my head for a while. 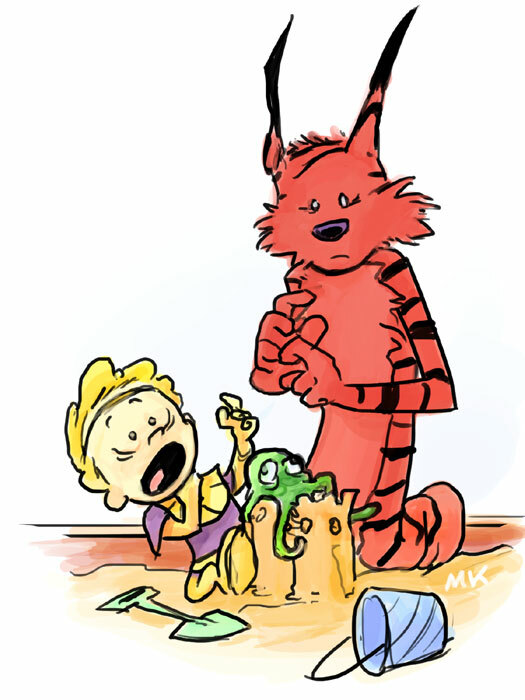 I took some artistic liberties with Calvin. 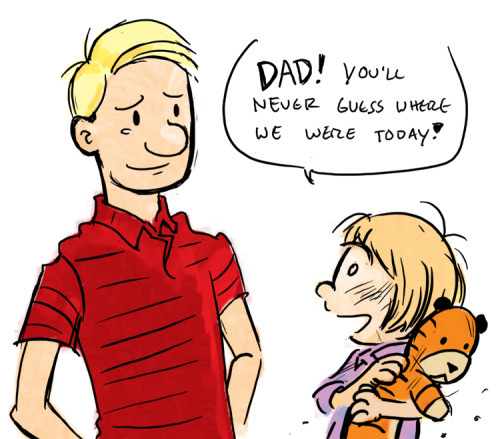 Morphing the short chubby Calvin boy into a lean adult produced this. 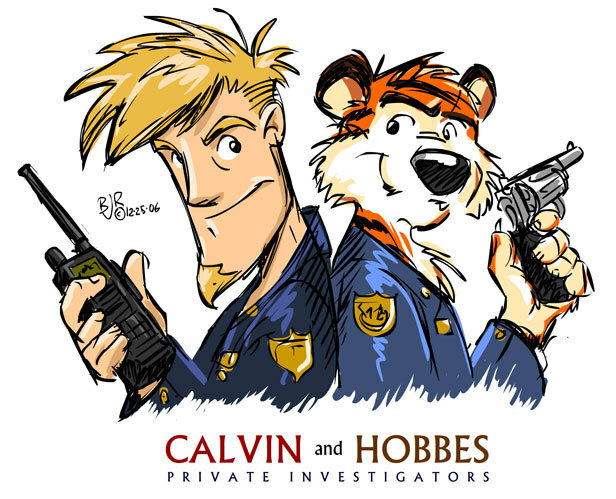 With Hobbes always at his side, they fight crime above the law. 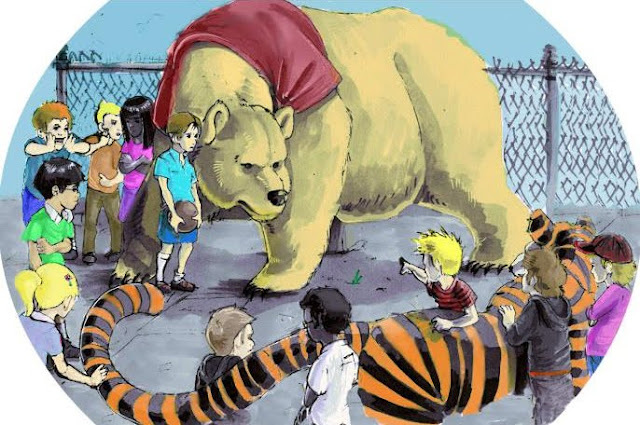 "Just as Calvin has an imaginary jungle-animal friend named Hobbes, whom everyone else believes to be nothing but a stuffed toy, "Jack" in Fight Club has an imaginary cool-guy friend named Tyler, whom no one but Jack can see." 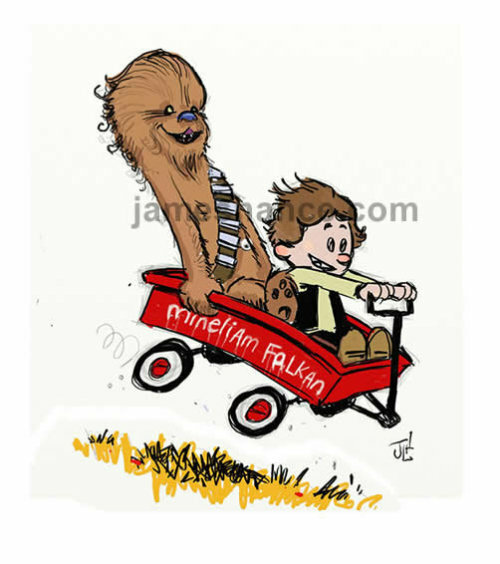 Created for the Art V Cancer project to raise money for cancer research. 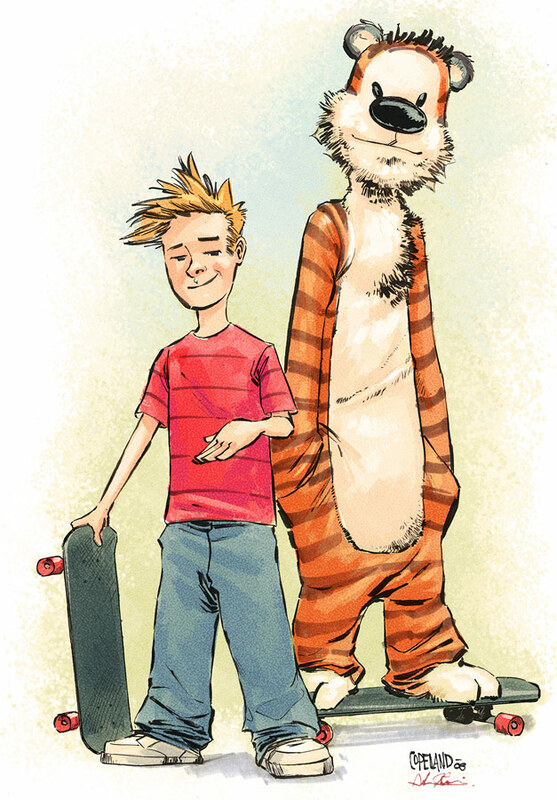 It's kinda impossible to make Calvin look like Calvin in another style. 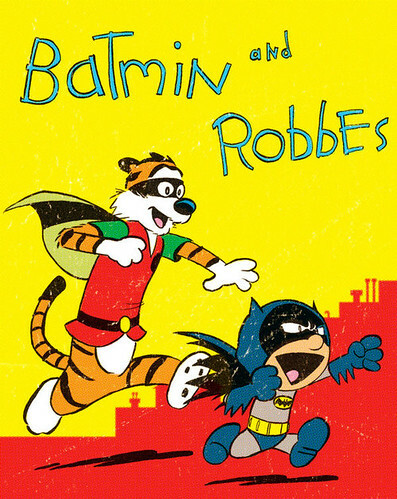 Get it on a t-shirt at Red Bubble. 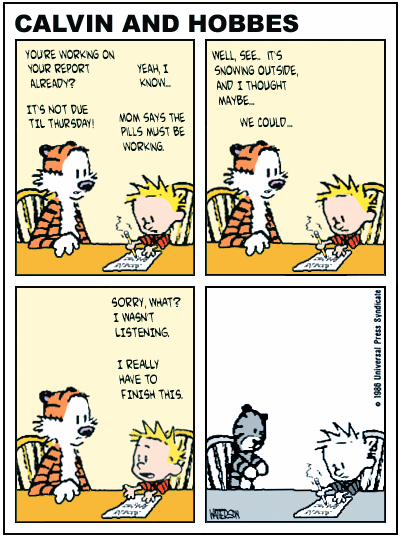 Calvin has just made the most painful realization of his young life. "I did this for a battle over at the Satellite Soda forums. The topic was Destroying a childhood memory." 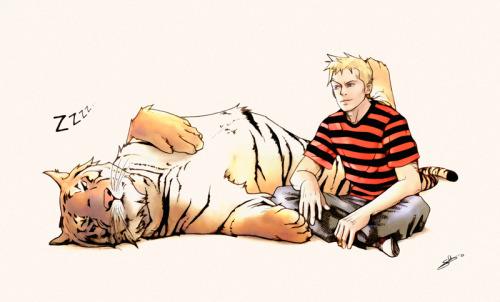 "Calvin and Susie...10 years later"
Source unknown, but this has appeared in a number of variations and places.